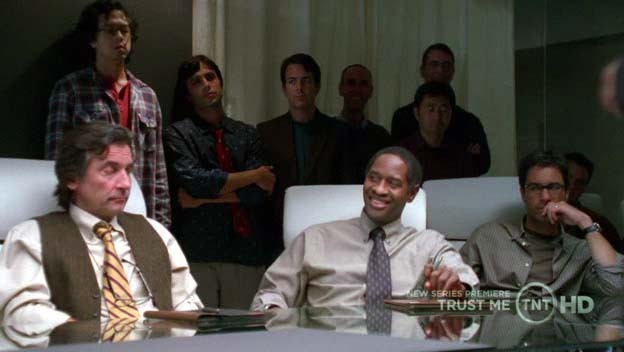 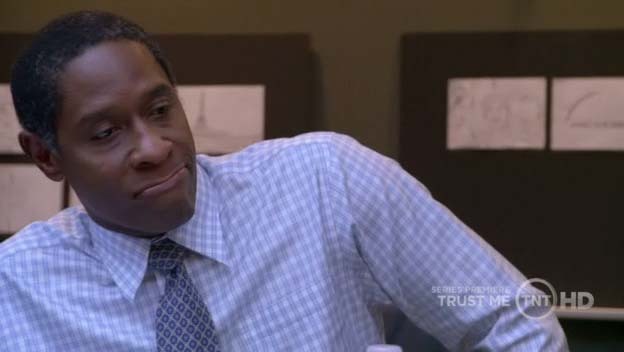 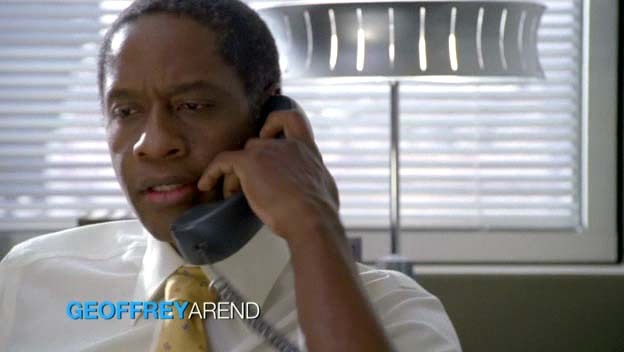 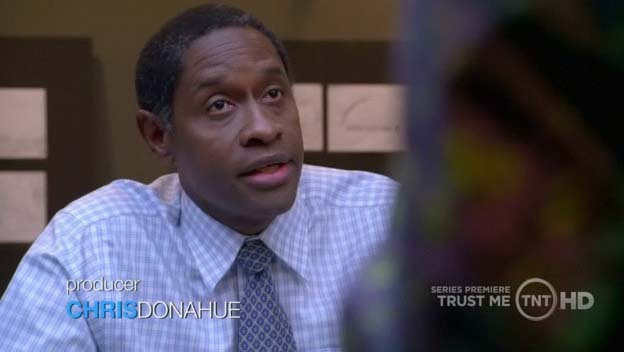 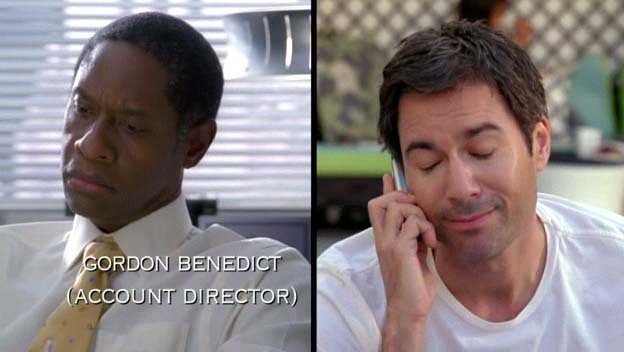 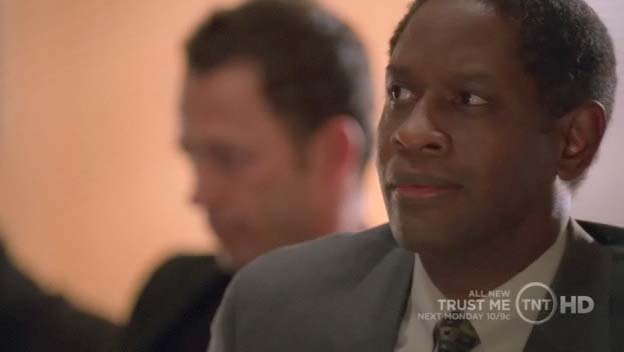 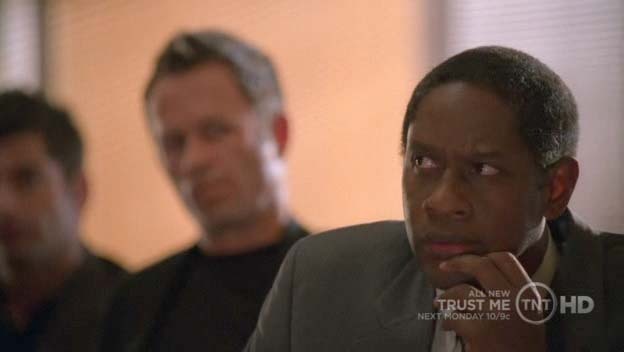 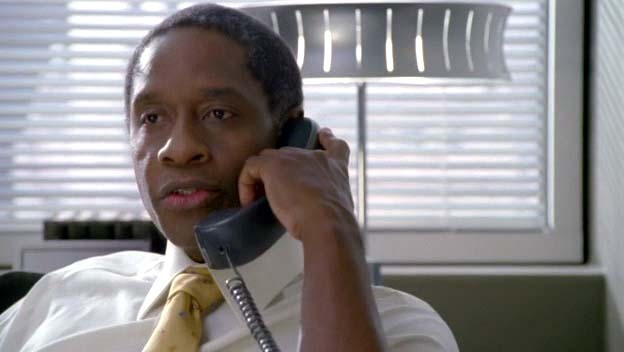 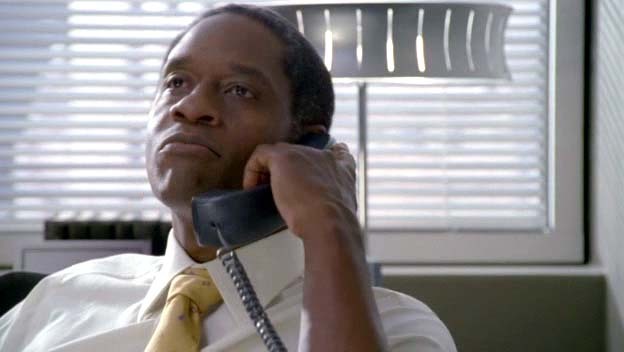 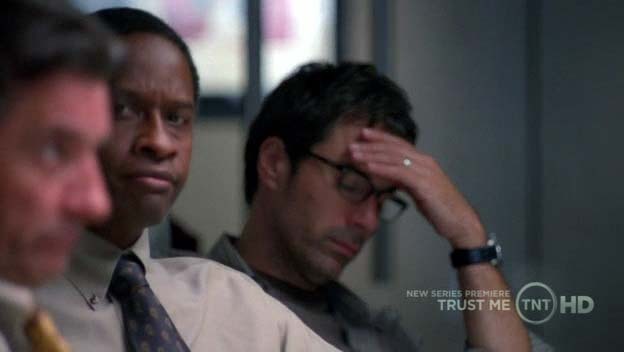 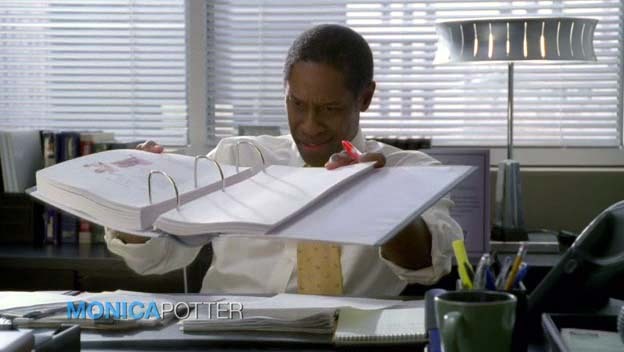 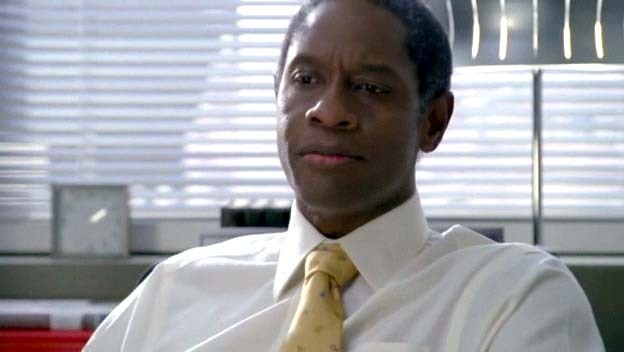 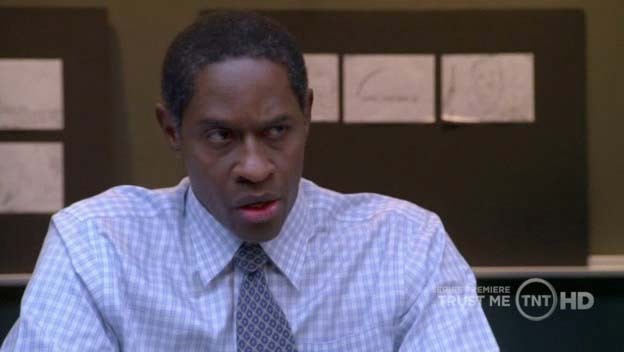 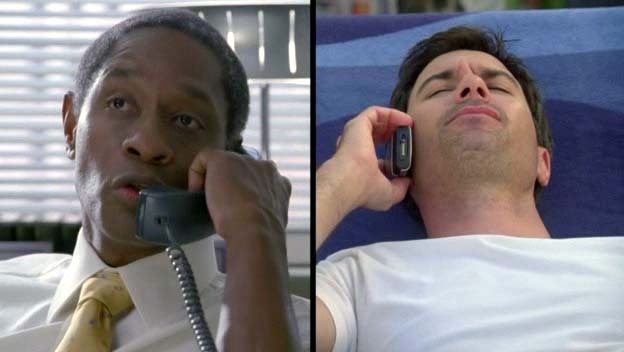 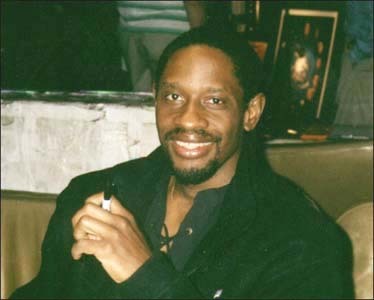 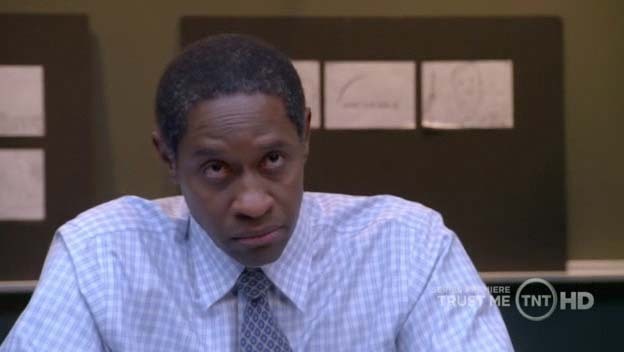 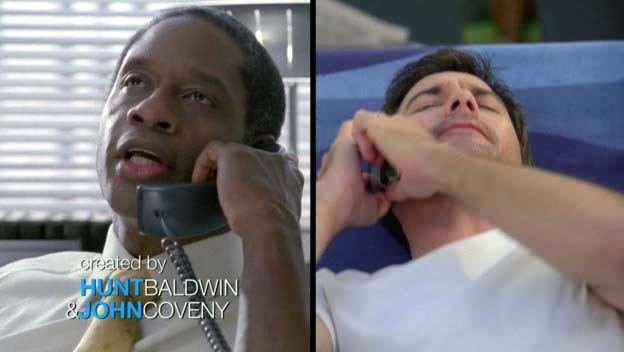 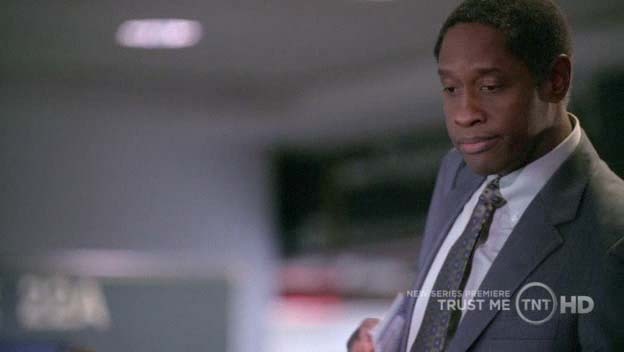 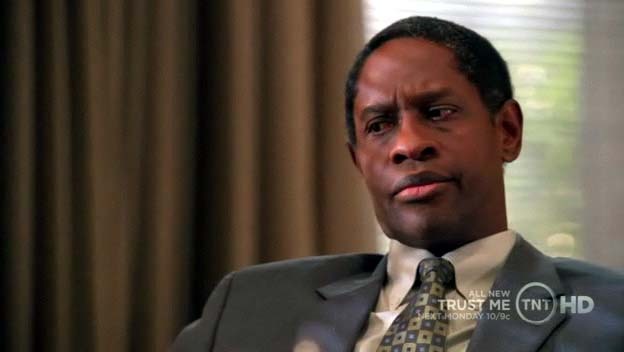 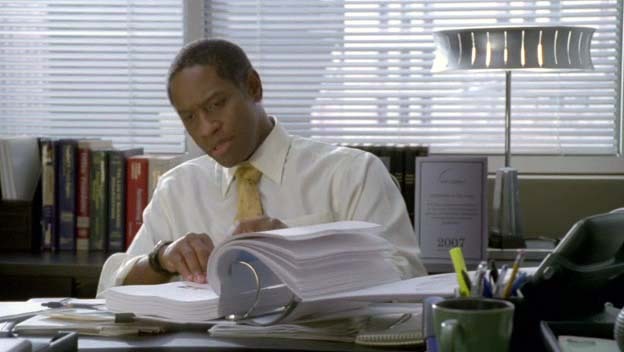 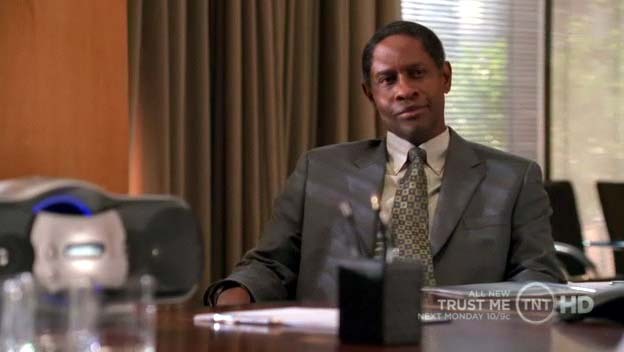 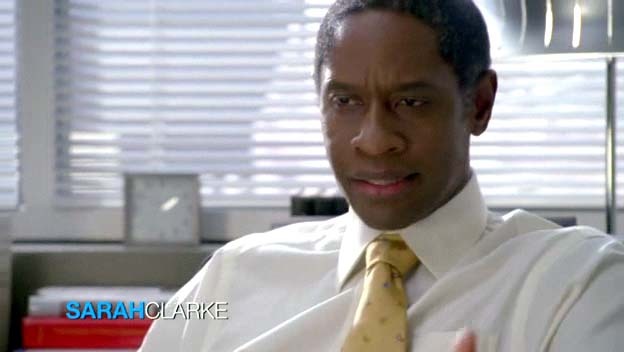 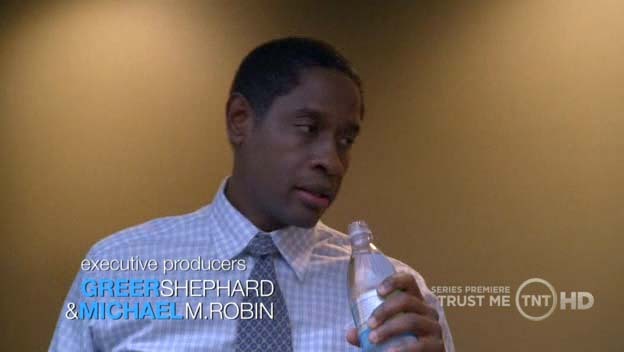 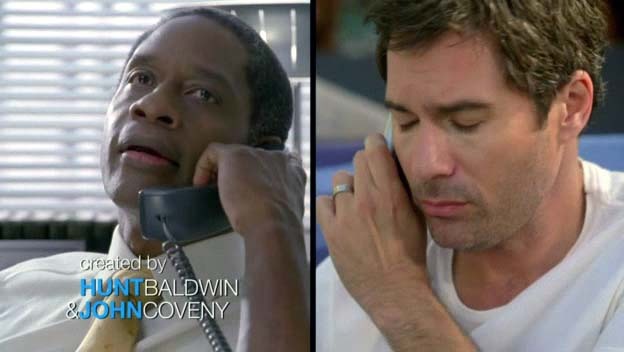 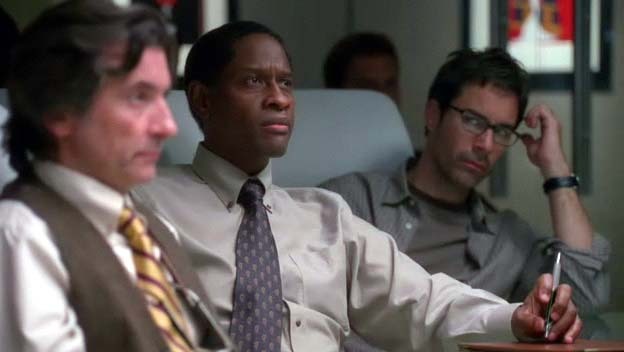 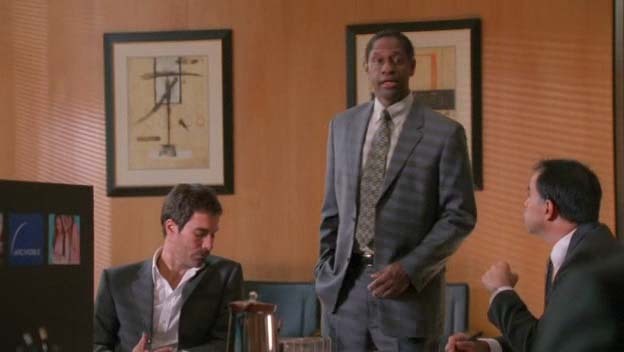 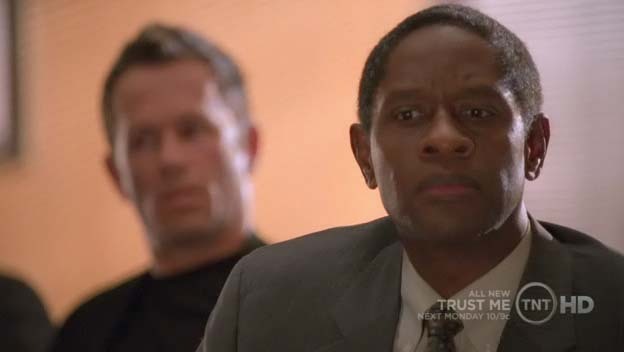 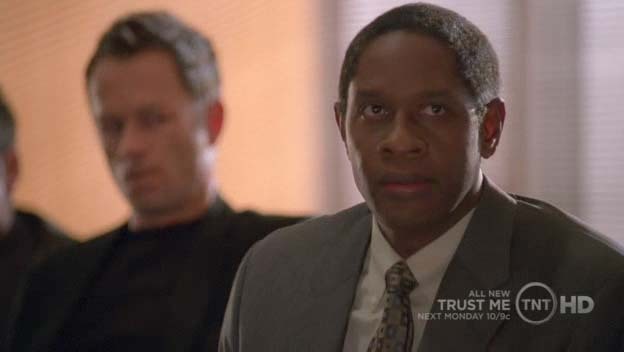 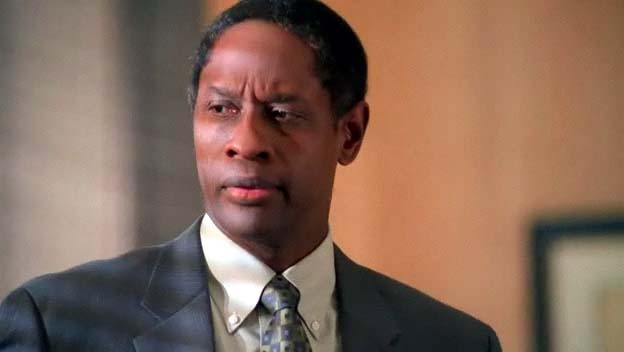 Tim Russ in "Trust Me"
CANCELLED: Tim was in two episodes of this series, which has been cancelled after only 13 episodes. 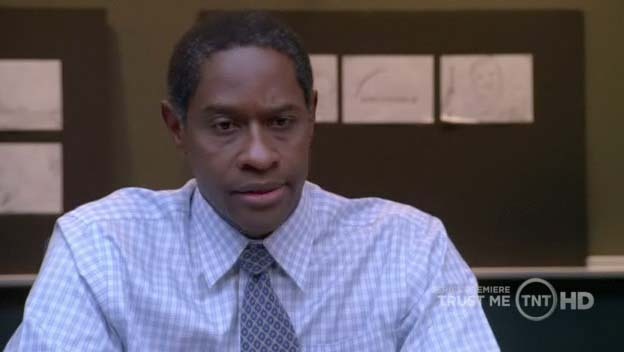 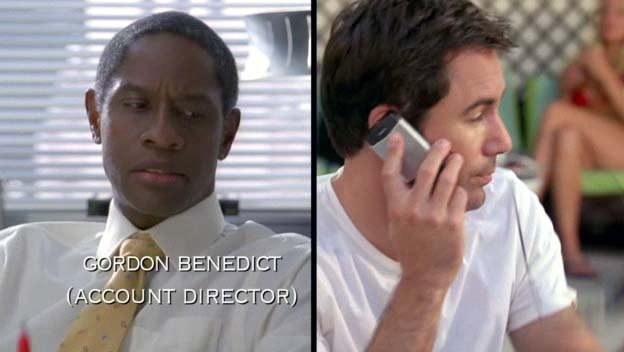 Tim's first appearance on the show was in the pilot. 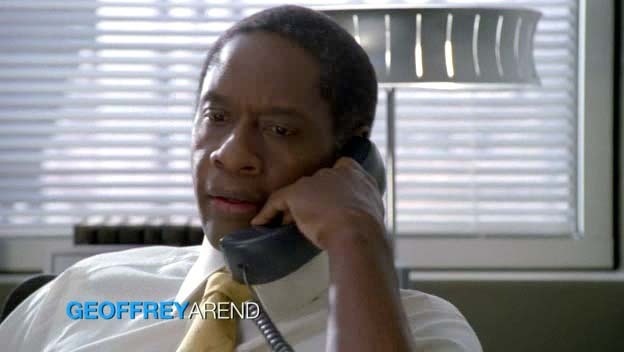 He is ordering the two friends back to the office, since there is an important project to be done, an ad for the mobile phone company Arc Mobile, and so far he is not happy with any results. 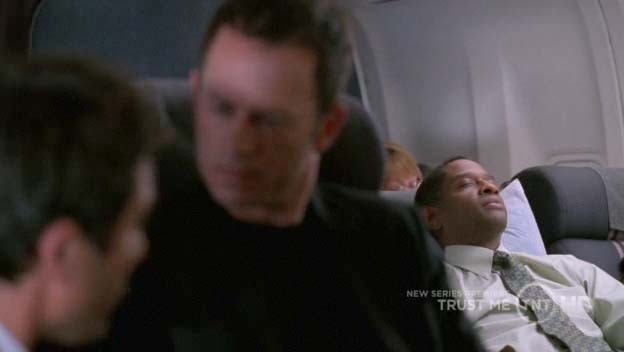 He is favoring a competitor of our two heroes and treats Mason a bit unfairly (lets the competitor fly first class, while Mason only gets an Economy ticket, when they are on their way to present their projects to the client). 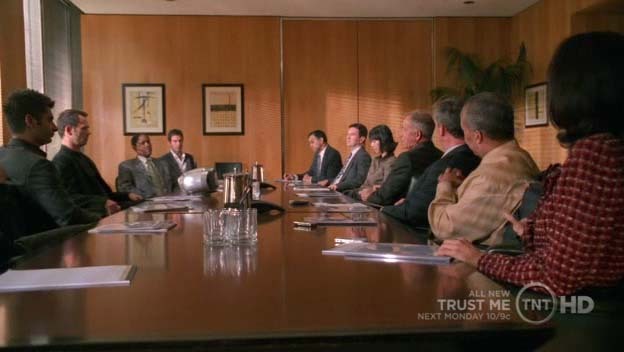 But in the end, Mason can seal the deal with the client and everything is fine. 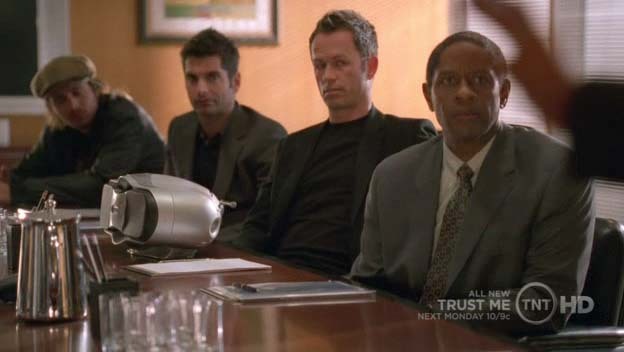 (all pics on this page are © TNT, no copyright infringement is intended! 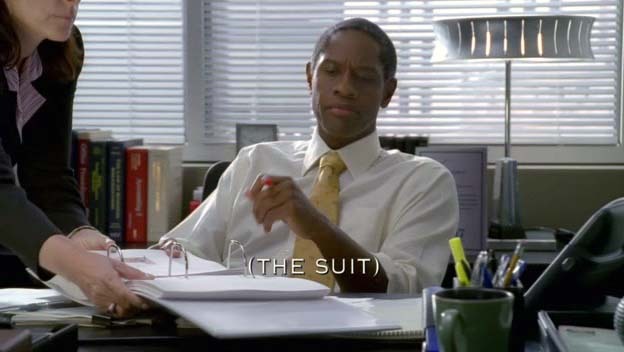 I made those screen caps myself, they are thumbnails).